I never thought I would seriously consider running because it hates me and I hate it. I hate it because I have asthma and I feel like I cannot excel on it. 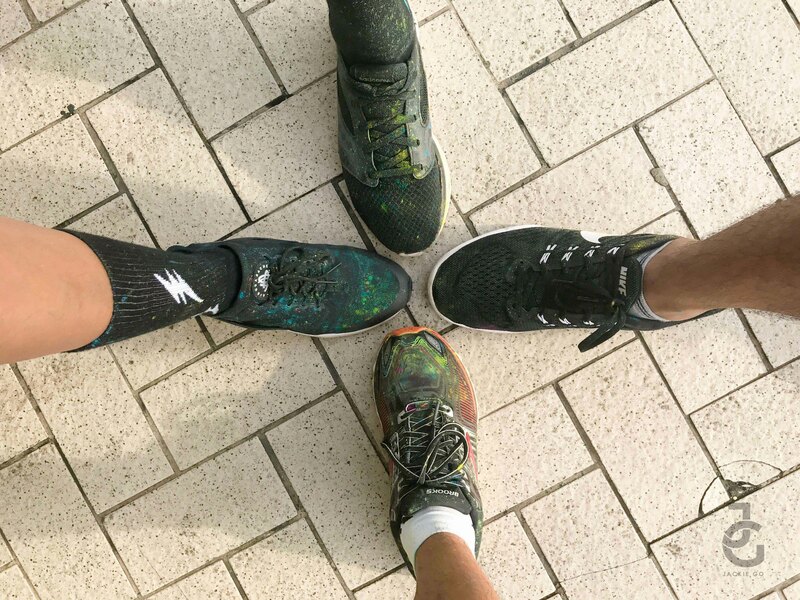 Short breaths and little to no will power to continue more than 30 minutes of running are the culprit. To begin with, cardio is my weakness. I can only do 3km on the treadmill before rolling my eyes and complaining on how hard and difficult it is to run. Hahahuhu. Which is why I’ve always admired runners and those who have been doing marathons because no matter how easy it looks it’s really challenging. But after all that’s said and done, I finally did it guuuuys. 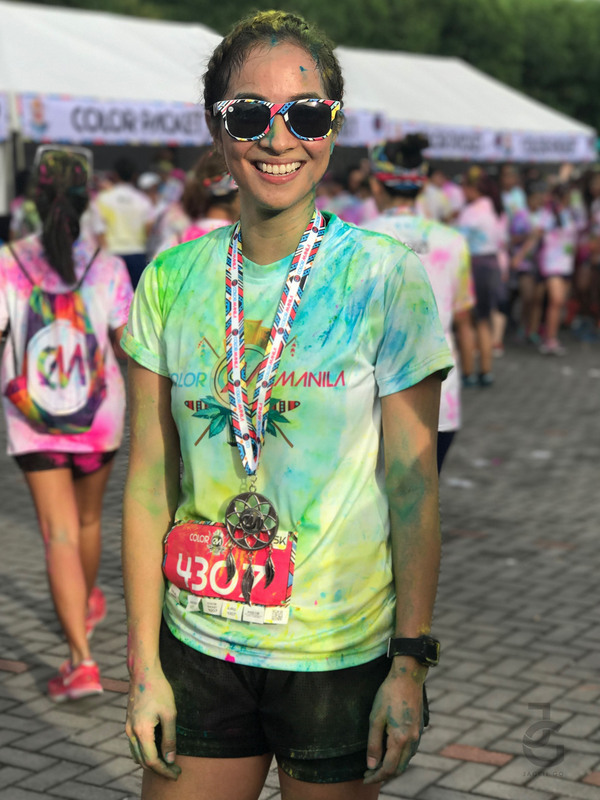 I finally joined my first ever fun run yesterday. 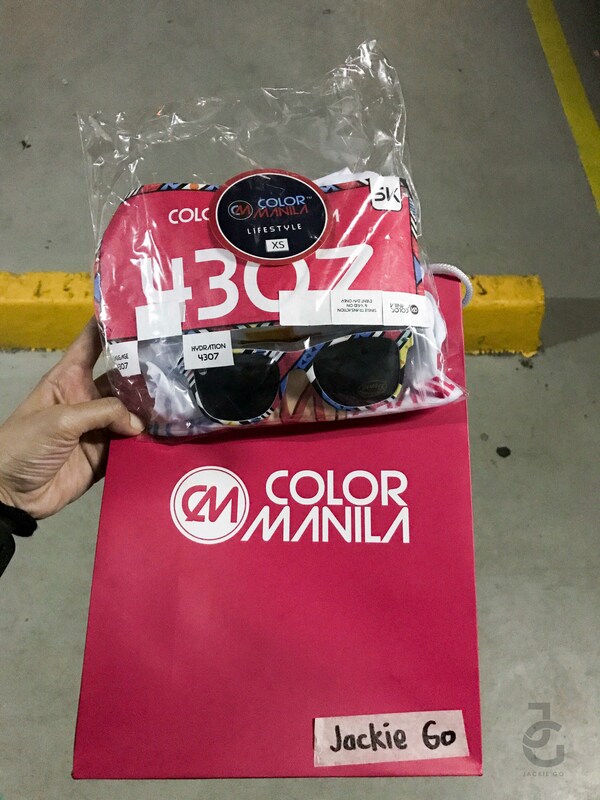 With the encouragement of my fitness beshies, I finally gave in and joined Color Manila Run. I wasn’t able to sleep the night before. I was waking up every hour until 4 AM when I finally had to get up and fix up. This is usually the case whenever something big or new is about to happen to me–I get anxious, scared and excited all at once! Hahahuhu. Lack of sleep made me even more nervous! Good thing my fitness beshies Nikki, Chappy, Jeff, & Kelly ran along with me. I love how encouraging this little group of ours is. Though we aren’t runners (si Jeff lang) still we were game. One of the things that’s challenging aside from running itself is really waking up before dawn on a Sunday but when you see the sun rise and feel the sea side breeze, it’s all worth it. 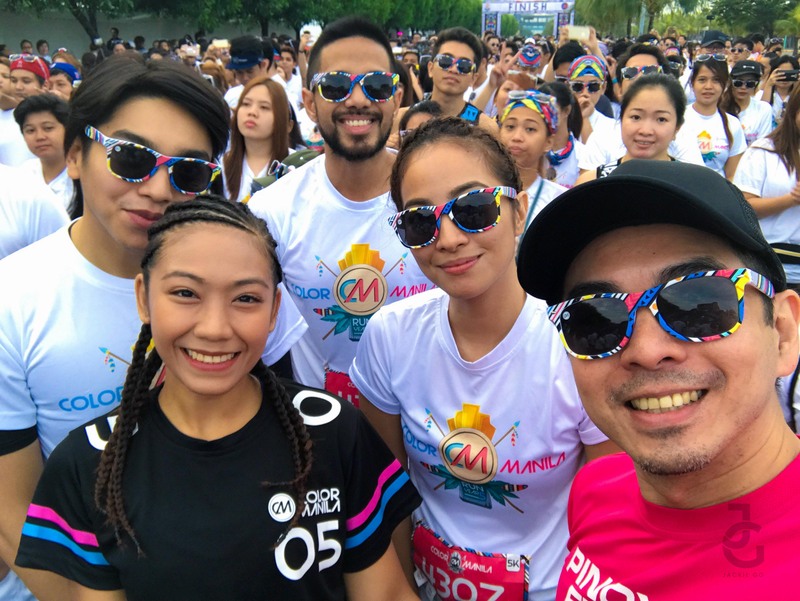 Medyo may fear of large crowd lang ako guys eeee which is also another reason why I’m afraid to join runs! Waiting for gun start. Look at my very nervous smile. Hahahaha. 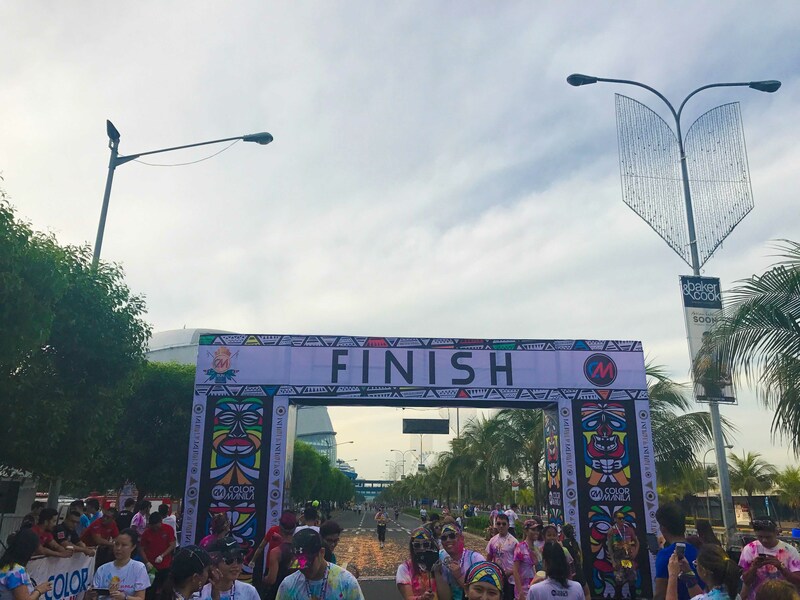 Deep inside I was just thinking, I hope I finish without any injury or I hope I finish lang talaga! Aaaaand after five color stops, we finally crossed the finish line! Achieve! Can I just say I enjoyed my first ever 5k run because it didn’t feel like I was running that distance. 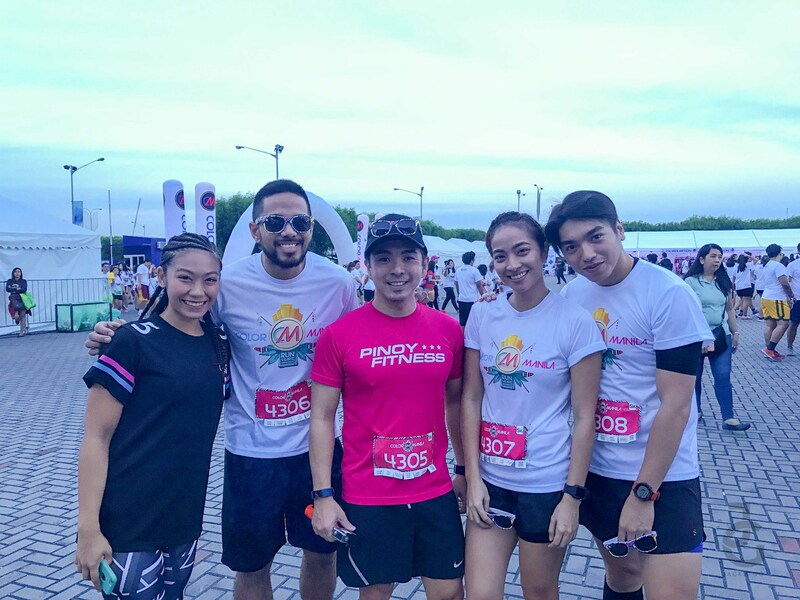 The cool breeze, good vibes and laughter that surrounded me made my first ever fun run a good one. 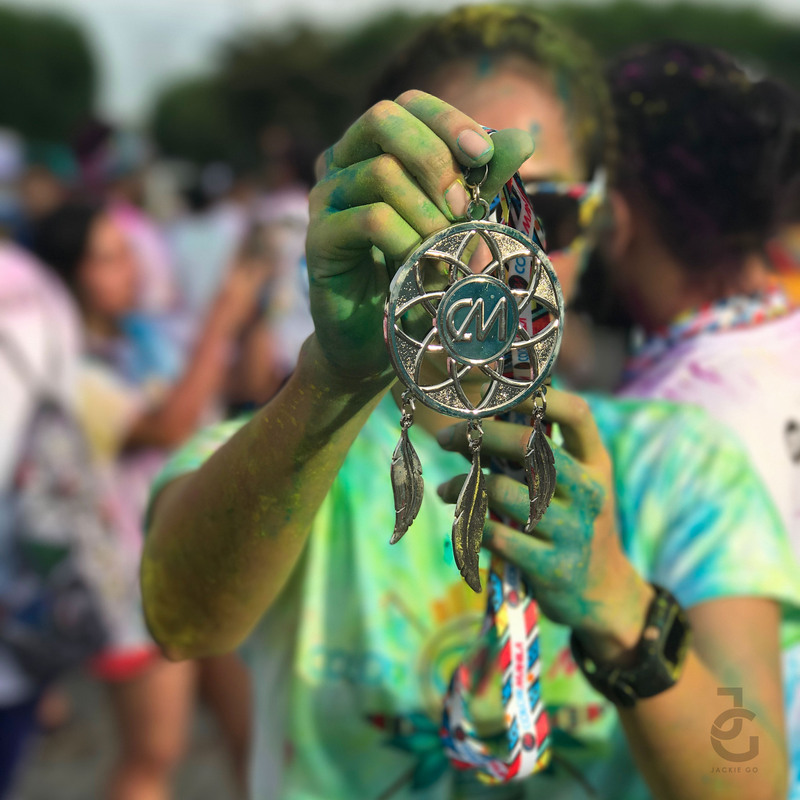 I like how most of the runners took their time to enjoy each color station. Most had their photos taken with their family or friends. 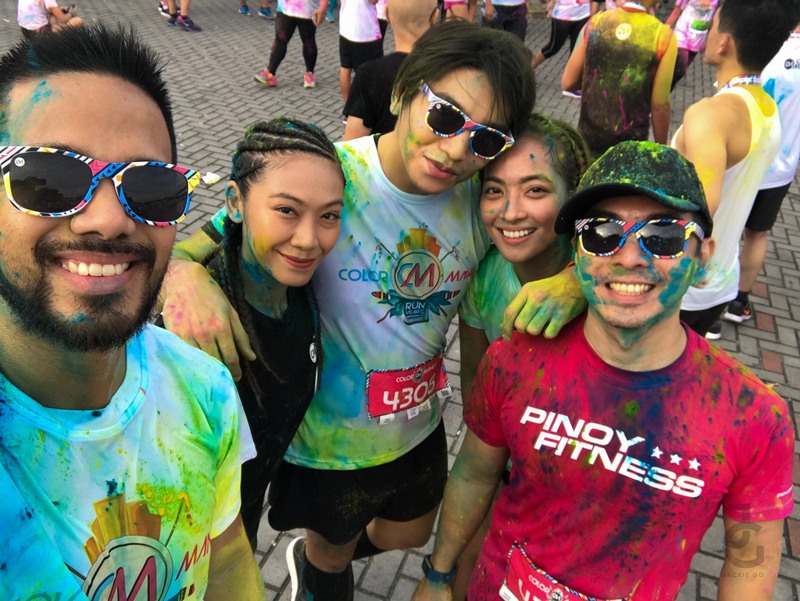 This was probably the reason why Color Manila Run didn’t feel intimidating–everyone was cool and was really having fun! My first ever run medal! 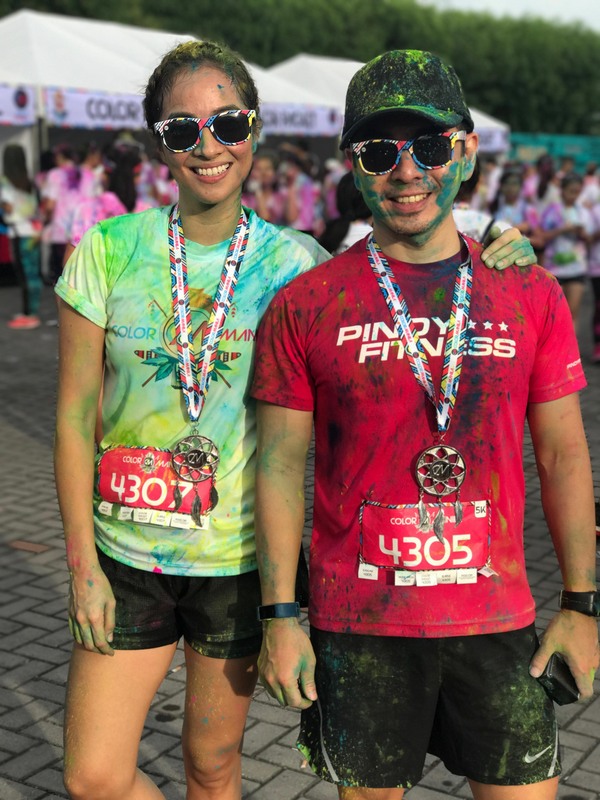 Thanks to my big brother from another mother, Jeff of Pinoy Fitness for encouraging me and challenging me to run. 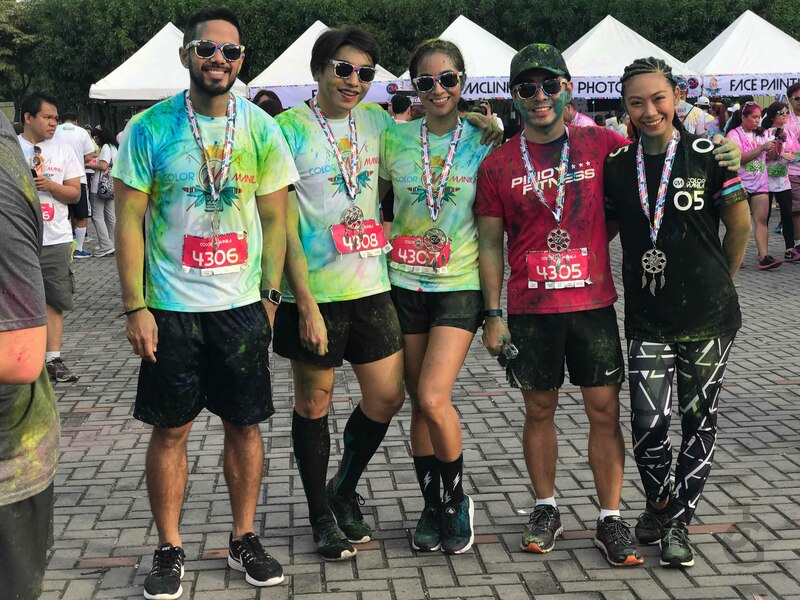 Never in my wildest dreams did I ever think I’ll join a fun run because I really thought I wouldn’t last. As usual I underestimated myself. Now I’m more challenged to pursue running. 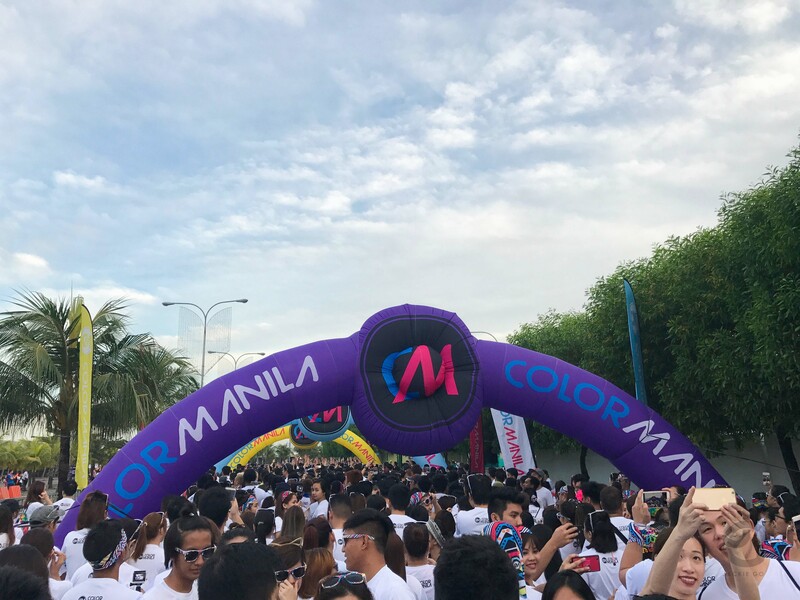 Fun, fun, fun run by Color Manila. 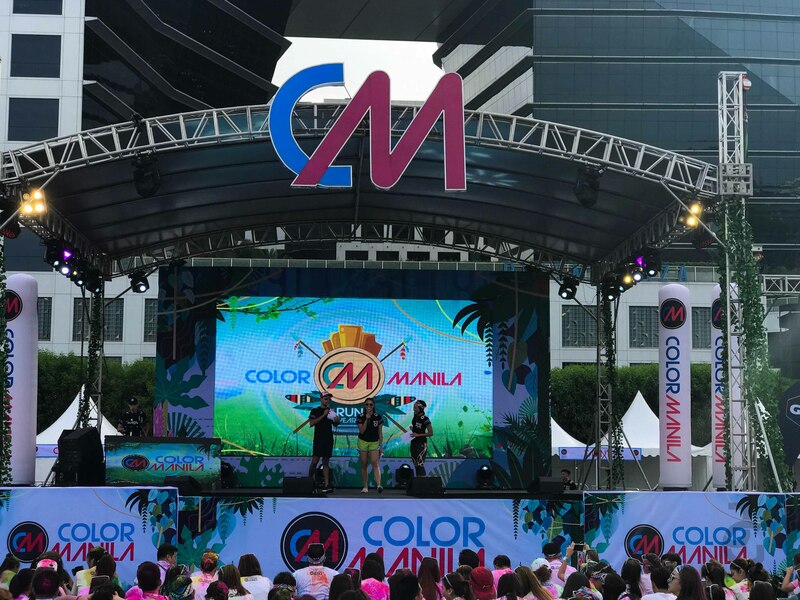 Check out our video to see what really happens during the Color Manila Run.